When planning for your bathroom remodel, you may be wondering what a realistic number might be to set as your maximum budget. Unlike kitchens, which can be worth spending up to 25 percent of your home’s value, bathrooms typically should be budgeted between 5 to 10 percent of your home’s value. This makes remodeling a bathroom about half as expensive as your kitchen, mostly because there is considerably less cabinetry involved. So, if your home is worth $200,000, you’ll want to spend between $10 and $20 thousand on a full bathroom remodel. There is always the possibility of trying to Do-It-Yourself, which can cut costs by more than half. That savings comes in doing the labor yourself. But, it is recommended to at least have a designer involved for at least the planning stages of a complete tear-down. You never know what you will find when the walls come down, either, so having a pro involved can save you headaches later. The most important part in planning your budget is to have all of your materials chosen ahead of time. This is especially important so that you can know what a realistic number is when you are searching around for quotes. This way, you’ll know if a quote is too low or too high. A typical bathroom remodel in the United States costs about $16,000 according to the National Kitchen and Bath Association (NKBA). If materials aren’t chosen in advance of setting your budget, you could find yourself spending as much as 30 percent more than you initially planned. Just like with any remodel, there could be surprises found during demolition. Because of this, be sure to have an allowance of about 5 to 10 percent for potential unforeseen fixes. By building this into your initial budget, you can minimize budget overages. Another way to save money in the budget is to do some or most of the demolition work yourself. This is especially true if you are doing a complete teardown. But if any problems arise, be sure to bring in a pro to help you find the best solution. You may need the savings in labor costs upfront to repair previously unknown issues. If everything is fine, then the savings can be put towards potential upgrades you may otherwise might not have been able to afford. If you’re just doing a minor makeover, you may only need a budget of around $5,000. That includes labor costs, as well. The real cost of a bathroom remodel comes when fixtures, showers, and toilets are being moved around. As long as your current layout works, keeping everything in place, even if you’re replacing the units themselves, you can save a lot of money. If you use discounted materials, such as discontinued product lines or overstock items, you can save even more money. A bathroom remodel costs considerably less than a kitchen remodel. 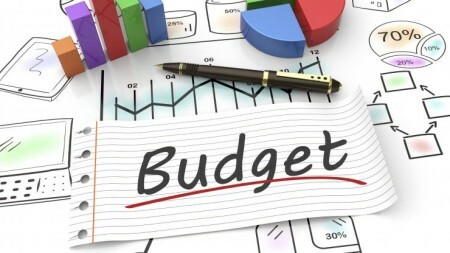 However, it’s important to set a realistic budget and make sure that it’s done right the first time. While you may be able to do the work yourself, involving a remodeling pro can be well worth the extra cost.